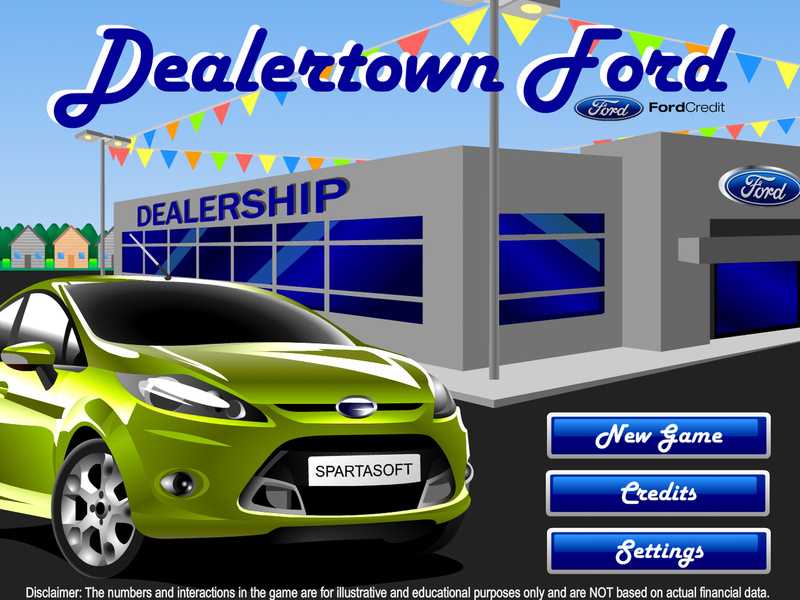 DealerTown Ford is a web-based game created by SpartaSoft, Michigan State University’s student game developers organization, under the direction of Brian Winn with the MSU GEL Lab. The game is the winning entry in Ford Credit’s “Winning At Money” Challenge. The three-month challenge tasked student game development groups at Big Ten rivals, Michigan State University’s SpartaSoft and the University of Michigan’s WolverineSoft, to create an online game that would help educate consumers about using credit responsibly. 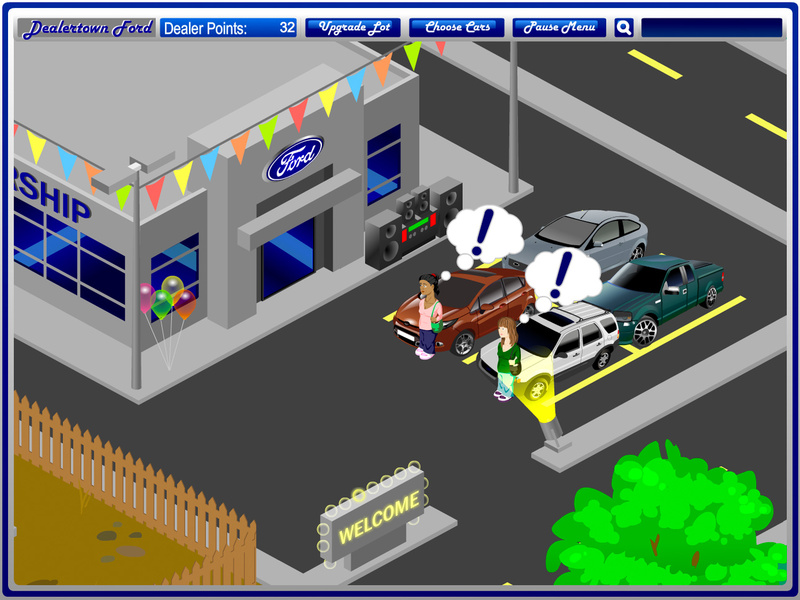 In MSU’s DealerTown Ford, the player runs his or her own dealership, from picking what cars go on the lot to picking up trash that blows into the parking lot. The player earns dealer points by negotiating appropriate financing terms for virtual customers based on their credit score, vehicle savings and vehicle budget. With the dealer points, the player can upgrade their dealership and add additional cars to their lot. Through play, the player not only grows their dealership, but also learns the details of vehicle financing and the importance of maintaining good credit. “Michigan State came out on top because their game presents a Sims- or Tycoon-like dealer simulation that ties closely to a real-world experience. Their graphic execution was also top notch. Plus, it’s fun to play and holds a few surprises,” declared Terri Denhof, program manager at Ford Credit and one of the judges of the competition. The MSU team attended the 2010 Game Developers Conference in San Francisco, CA with Ford to exhibit the winning game. The game was made available to the public in May 2010 on the Ford Fiesta 2011 launch web site, as well as the Ford Credit and MSU web sites.